﻿ What is HubSpot, and What Does it Do? What is HubSpot, and What Does it Do? If you’re a marketing manager or business owner who hasn’t tried or even heard of inbound marketing, then we strongly suggest you keep reading! What is HubSpot, and what can it do for my company? In short, HubSpot is an all-in-one marketing, sales and service software. Used by over 30,000 companies today, HubSpot is the industry leader in inbound marketing – in fact, they've actually pioneered it. And as far as what HubSpot can do for your company, well, a lot. Many companies still believe in putting most of their time and money into traditional marketing and paid online advertising. But HubSpot’s focus on applying inbound marketing techniques to a company’s promotional strategy is absolutely something for every modern business to explore. 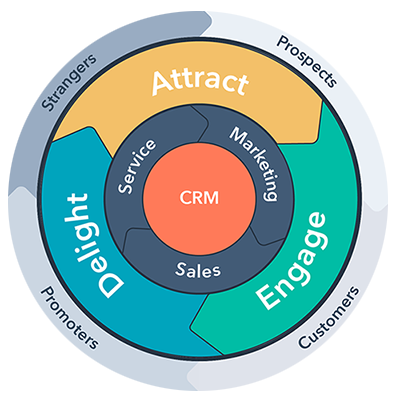 In essence, HubSpot combines marketing, sales and service to give businesses a full suite — all built around the inbound marketing methodology, which we’ll talk more about in the next section. All features in HubSpot are centered around the modern buyer. That is why it's an ever-evolving platform that follows the buyer jurney and constantly adds features to keep at the very top of digital trends. It is important, however, to know that using HubSpot requires education and dedication. It will not do the work for you; rather, it gives you all the tools you need to run your marketing and sales campaigns and measure results. Businesses typically use a HubSpot partner agency to manage all aspects of the platform and report on ROI. So... what is Inbound Marketing, anyway? Good question! This is something that every business owner should know, especially in this day and age. Essentially, inbound marketing is a form of digital marketing that turns traditional marketing on its head. It uses more results-oriented techniques and puts more focus on ROI. It also needs to be integrated with a company’s sales process. The first step is to Attract the customer by creating and sharing various forms of search engine-optimized content that answer questions your prospects are asking. The second step is to Convert. This is done by turning website traffic into leads through the use of powerful offers through the use of landing pages and other promotional efforts with clear calls to action. The third step is to Close. And finally, the last step is to Delight – which is all about providing the best customer care experience you can, and helping your customers with the issues that matter the most to them. This results in customer retention and even referrals. Sound a little intimidating? It probably will if you’re more accustom to paid forms of marketing. But the good news is, inbound marketing can be done all in one platform – from websites and landing pages to social media, SEO, blogging, marketing automation and sales deals. It’s all streamlined and connected under one umbrella sharing the same data in the HubSpot software. This makes for a very powerful platform that can literally transform a company’s way of doing business. Today, prospective buyers are researching for themselves. They don't need a sales person to sell them anything. When they have a need for a product, they go straight to the web to explore options and reviews, and will make a decision based on their findings. In fact, blogs, which are a powerful form of inbound marketing, can contain a lot of information that today’s consumer needs. Research shows that people tend to trust the information and advice from blogs, making them more likely to make a purchase based on a recommendation from a blog post. That’s certainly something to think about. Along with the increase of control that buyers are gaining over their purchase decisions, traditional marketing such as television ads, radio and direct mail seem to be experiencing a steady demise. For example, a study by Arris also discovered that 84% of participants wanted to fast forward through TV ads while 60% download or record shows in order to skip through commercials. Not so surprising, huh? And according to the CMO Council, 44% of direct mail is never opened. With that being said, companies should be using this major shift from traditional to inbound marketing to their advantage. It’s simply what today’s consumer is responding to best - and the evidence is all around us. Revealed at Inbound2018, the “flywheel” is an evolution from the sales and marketing funnel. But what makes the two so different from each other? Unlike the traditional funnel, the flywheel doesn't have a top, a middle, or a bottom. The funnel is a linear system that ends at acquiring a customer, and then it starts up again. In contrast, the Flywheel just keeps on spinning, and doesn’t end once you’ve gained the customer. This is because that customer will still require attention and nurturing – the very thing that will play a fundamental role in helping your company to grow.
" The old funnel shows customers as an output, when we all know that customers are actually an input to our business in today’s day and age." - Brian Halligan, CEO of HubSpot. As explained at the HubSpot Academy, “A flywheel is a machine that stores rotational energy. When you add energy to a flywheel, it starts to spin. If you add more energy to it, it spins faster. And unlike a funnel, where the only way to maintain a constant speed is to keep adding stuff to it, and flywheel will keep spinning.” So as the wheel spins, business continues to grow: but the key is to keep your customers happy. Making customer satisfaction a priority at all times will have a snowball effect – causing your current customers to refer new ones, as well as leave positive reviews on the web. This will all help to organically market your company and accelerate its growth even further. HubSpot isn’t merely software – in fact, it goes far beyond that. HubSpot is a community of inbound marketing experts that help companies make the most out of their marketing and sales efforts, through employing the latest and best digital marketing strategies. Through HubSpot’s integrated inbound marketing courses, HubSpot Academy provides valuable and comprehensive education for businesses ready to learn. The information is carefully constructed to help make inbound marketing more approachable and workable for every business owner. The quality of support and customer care provided by HubSpot Academy is incomparable to that of many other marketing services. The company’s unique passion for understanding inbound marketing strategies and trends, in addition to their capacity for teaching businesses who have little to no marketing experience makes them a true pioneer of their field. It very well can be... if you’re ready to learn. While inbound marketing has proven to be an incredibly effective and prosperous form of marketing today, it does require strategic planning, creativity and ongoing effort to garner results. 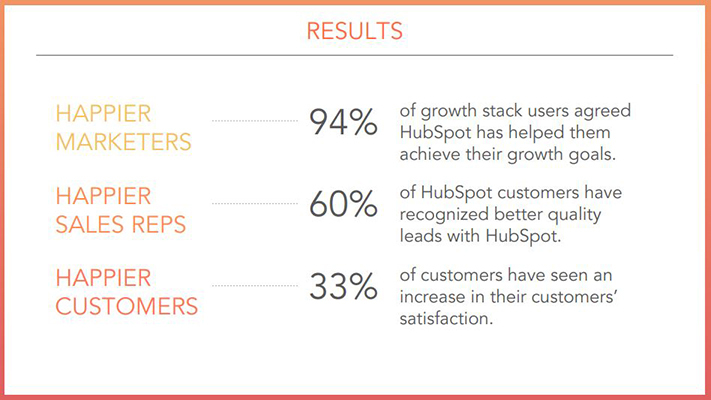 With that said, if your company is ready for that kind of commitment – then yes, HubSpot is an excellent tool for you! Sure, inbound marketing requires work. But when implemented correctly, this methodology will help you to consistently attract visitors and potential customers, convert leads, and close sales. And, of course, the flywheel will just keep on spinnin’. If you're ready to utilize inbound marketing and take your business to new heights, HubSpot can be a great place to start – as it includes all of the tools necessary for successful inbound marketing. We wish you good luck on your inbound marketing journey! Need help managing HubSpot? Drop us a line ask a question or request a free consultation.